The main partner of bEIJING LIVE is the Danish Cultural Centre in Beijing's iconic art district 798 Art Zone, being the venue for the events live performances from October 14 to 23, 2016 . It will also host the Beijing Live’s secretariat and assist in the preparation, production and evaluation of the festival. The Danish Cultural Center is a physical space for the communication and contemplation of art and culture. As Denmark’s official platform for the exchange of culture and art in China, it aims at bringing culture and human values at the heart of creativity, learning and innovation with an approach funded on encounter and respect. 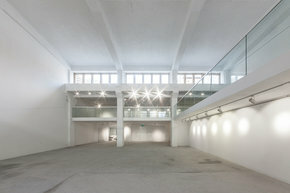 From its venue in Beijing's 798 Art District, the Danish Cultural Center promotes cultural exchange and intercultural understanding between Danish and Chinese parties. In particular, its supports projects targeting long-term cooperation between cultural institutions, artists and other creative professionals. Typical themes include the physical and social aspects of urban transformation, design as a daily commodity, gender issues, migration, the revitalisation of cultural heritage whether tangible or intangible, sustainable development, and issues of public health. Key words for these activities are exchange, dialogue and mutual inspiration, which can lead to long lasting connections and encourage networks. For this reason, projects and events are always carried out in close collaboration with Chinese partners. 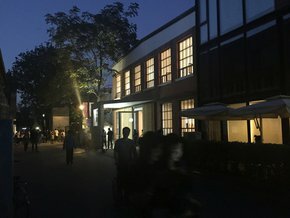 The center in Beijing is part of The Danish Cultural Institute, an organization of non-profit structures with branches covering Western Europe, the Baltic States, Russia, Central Europe, Brazil, and Turkey, The Danish Cultural Institute is the oldest cultural institute in the world still in operation. It was founded in June 1940 and continues to be at an arm-length of any political influence whether in Denmark or in China. The Chinese structure has been functioning since 2005 when it was established as an NGO with a license to work in the field of cultural consultancy and cultural exchange. In 2012, the Chinese and Danish Heads of State signed an agreement on the mutual and reciprocal establishment of cultural centers, which elevated it to the status and recognition of an official Cultural Center. The Chinese counterpart, The Chinese Cultural Center in Copenhagen is the largest Chinese cultural center in the world. The building of the Danish Cultural Center is one of the original buildings of the industrial area tuned into art district, 798. It is designed by German architects and built as a pillar structure of reinforced concrete in 1956. 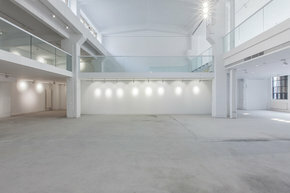 The space hold a very large ceilinged central room of 500 m2 with a height of 1040 cm making it one of the most impressive in the area. Architect, professor Lv Pinjing conducted the renovation in 2015 and has furnished the venue with a series of plateaus surrounding the central room, including a mezzanine of almost 120m2. 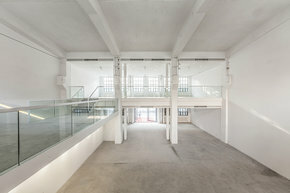 The building is basically destined to host exhibitions, conferences and talks, film screenings, and activities for children but it will also be the venue for live performances and workshops with both students and professionals from various fields of art.